Quick, what was Toyota's best-selling vehicle in America last year? If you said Camry or Corolla, you were close, but in fact it was the RAV4. It sold over 400,000 units last year, topping the next best-selling Camry by about 20,000 cars. 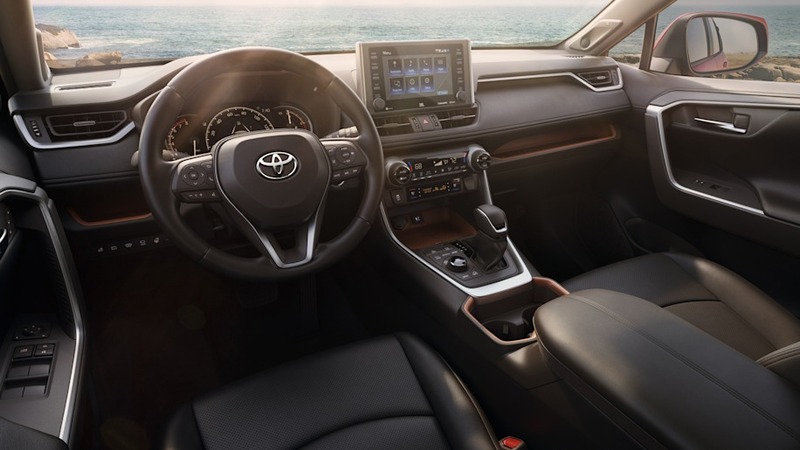 And this was despite the fact that the current RAV4 is roughly 5 years old, and the Camry was completely redesigned, and improved, last year. That makes the RAV4 monumentally important to the Japanese carmaker. 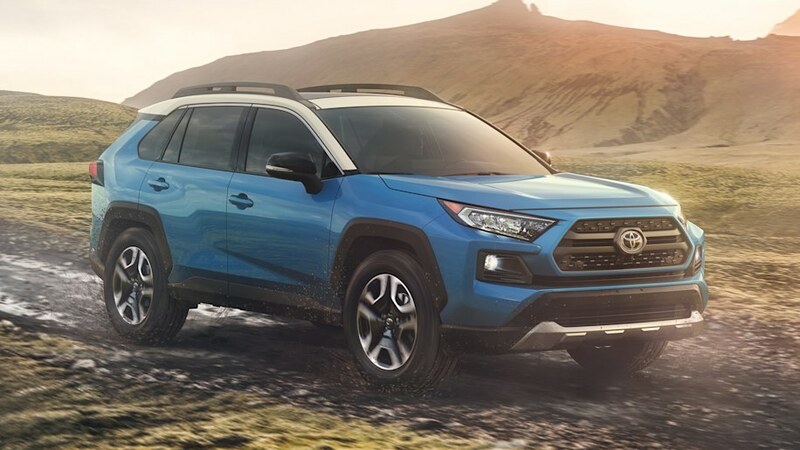 Thankfully, though, instead of playing it safe and keeping the conservative-looking crossover inoffensive, Toyota has injected life into the little SUV with some really rugged styling. 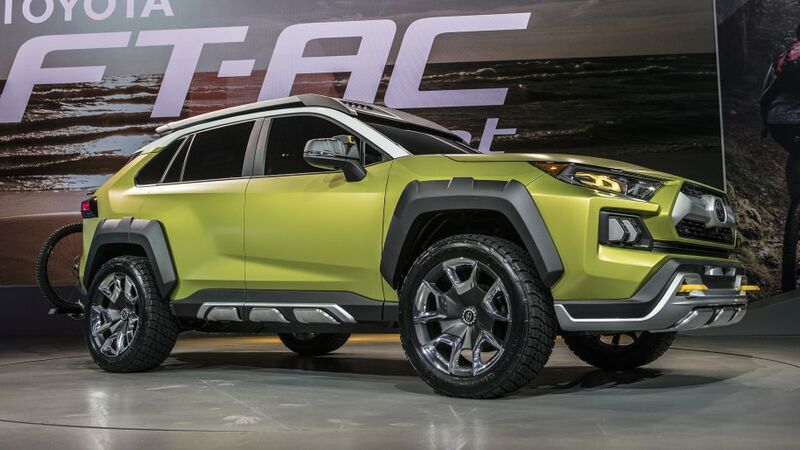 The new RAV4 looks very much like the FT-AC concept shown at this past L.A. Auto Show. 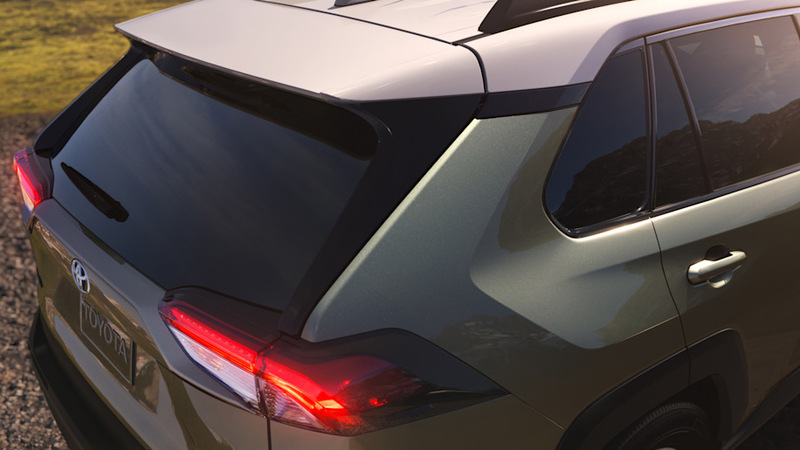 In fact, comparing the two back to back, it looks like the FT-AC was in fact a RAV4 with slightly more aggressive cladding added to hide the fact it was a real SUV. No matter the trim level, every RAV4 gets chunky plastic cladding and fender flares. The wheel arches are trapezoidal, and angular creases abound, emphasizing the fact that this cute ute doesn't want to be called "cute." 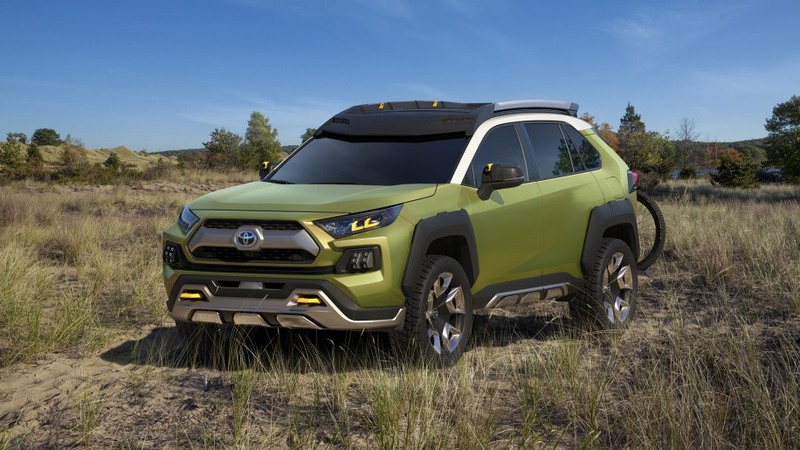 The Adventure model has a grille that looks much like that found on the Toyota Tacoma, big roof rails and large off-road-inspired fog lights. The other models have lower, meaner looking grilles that seem to emphasize more of a road-going theme. The XSE Hybrid gets unique gloss metallic black cladding and roof, and the Limited gets chrome accents. 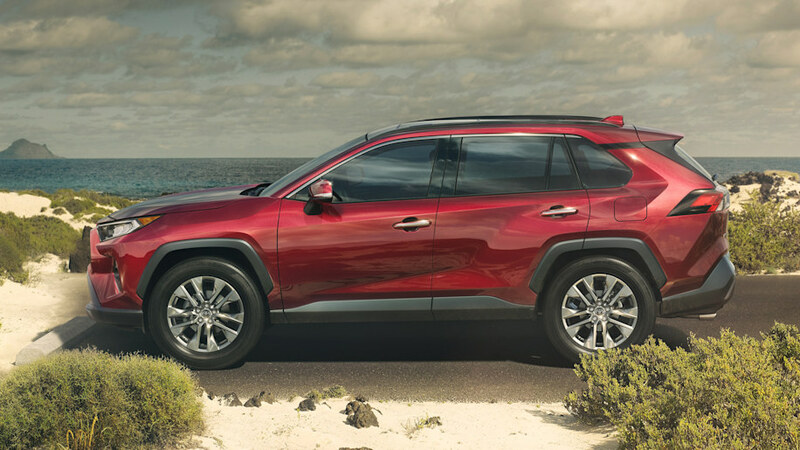 Two-tone color schemes are available on almost all varieties of RAV4. All RAV4s also sit higher, approximately half an inch higher than their respective predecessors. So it turns out the FT-AC "Future Toyota Adventure Concept" was just a new RAV4 with extra fiddly bits and doodads attached? Very sneaky, Toyota!! It's got this truck-like good looks and new features and engine to rival competitors. The 2-tone paint job makes it pop out more ... This looks to be a best-selling again for Toyota. At least they bumped it up in horsepower to 203. I know it's a best seller but I'm far from enamored with it.....more like meh. Seeing it in person might change my outlook. I think they did a really good job with the interior and exterior design. 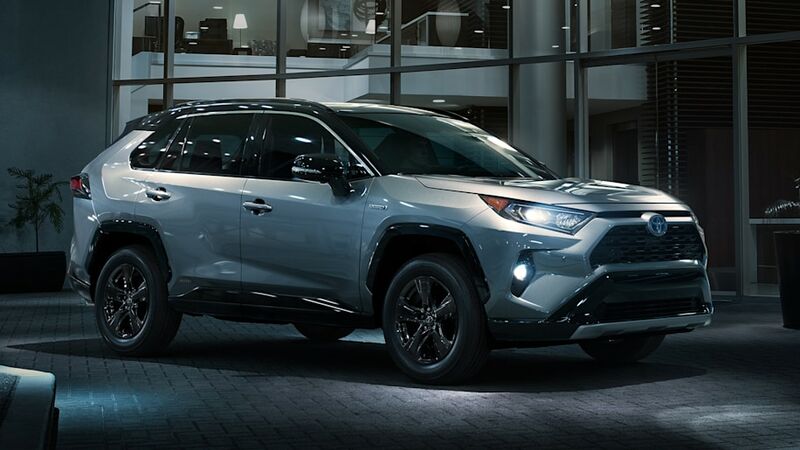 It's modern, rugged and still on the conservative side (as compared to other Toyota and Lexus designs). That side of shot of the red one is very nice! Being picky here but I wish they went with a standard din radio because that's like the first thing that get's old with the rate at which these cell phones are being upgraded. Also, why not go with a gated shifter? The shift boots are difficult to keep clean and are basically already creased when bought new (OCD kicking in). But other than that kudos to the design team. Oh, and like I said in a previous post really wish they had a FWD hybrid option but maybe the mpg gains are just not worth it. I like it. Toyota has a winner on it's hands here. This 5th Gen is going to appeal to more men than any previous gen.
A little bigger and more HP was needed. Really digging the looks of the new RAV4. I've been debating a hybrid and like many, really hesitant on giving up that V6 (I'm on my second one). Fits my and the family's needs perfectly. Fits all my stuff for mountain biking and skiing. My gripes about the 4.3 has been the same since my 2007. The seats and sometimes bone jarring ride in the sport model!! I find the seats dig into my lower back and I can feel a bar across. Love the power and versatility of mine but city gas consumption is killing me. Exterior looks great. Reminds me of a few models Toyota and Lexus has. The rear lines has a bit of RX350 to it. Front looks like the Taco and wheel well area looks a bit 4Runnerish to me. Interior looks pretty good. Though, not a fan of the big screen. Everything looks to be laid out nicely. Will wait till it hits the showrooms and take it out for a test drive. This redesign definitely has my attention! I'm also considering the Highlander Hybrid but I don't need a 7 seater. I sat in one earlier this month and wasn't too impressed with it. Driver and front passenger seats were good but the rear seats, I think I still preferred the Rav's. Big reason for me looking at it is the V6 hybrid.